ACS offers approximately 40 years of combined experience in the field of Building Automation. We have numerous projects controlled by State of the Art electronic control systems designed for the control, monitoring and optimization of various functions and services provided in a building, including heating and cooling, ventilation, lighting, door access and the management of equipment. Advanced Control Solutions Design and Engineering team is committed to giving our clients maximum flexibility when engineering and designing a building automation system. 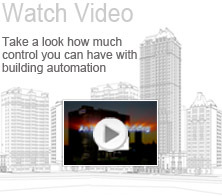 We pride ourselves in leading in the Building Automation Systems industry. Here is a small sample of some large events that we have had and participated in. We make every effort to keep up with the latest technology and also develop cutting edge solutions for your facility where others fall short.